A recent CBC News investigation highlighted the large numbers of vehicles with outstanding recalls running on Canadian roads. In the the United States, Auto Nation, with over 300 dealerships across the United States, recently announced that it will no longer sell vehicles which have outstanding recalls. The company has calculated that between five to 10 percent of its inventory of late-model used vehicles have outstanding recalls on them. These vehicles will be taken out of commission until the recall repairs have been completed. Canada`s recall notice legislation mandates that a written notice be sent by mail to the vehicle owner listed in the manufacturer`s records – the legislation predates the Internet and needs to be updated. Vehicle owners think they will receive recall notices because their vehicle information is updated regularly with their annual registration. However, vehicle recalls are a federal matter and automakers don’t always consult provincial vehicle registration records for up-to-date information when a recall notice is mailed. Provincial registration information comes at a cost, as the manufacturers have to buy the information. Car companies may first send out notices using their outdated address list and, depending on the repair rate over a period of time, choose to send a second notice to people who haven`t responded using a more up-to-date list. Recall notices are also announced via media releases to alert the public. The challenge is greater when recalls are announced for vehicles that are a few years old. For vehicles in their first two years on the market, recall completion rates are high, typically 90 percent or more, but this figure drops to 60 percent for older vehicles which frequently have changed hands. The car manufacturers are required to report repair rates for two years after a recall has been announced, but the data is not used by Transport Canada to ensure robust accountability on their part. Car dealers don`t routinely check for open recalls when they prepare used vehicles for sale, and there is a reluctance to mention open recalls because it can turn off a buyer. Vehicle safety inspections required at the time of sale in some provinces don`t provide a guarantee either. Because safety inspections are overseen by the provinces and recalls are federal, the two systems operate independently and don`t talk to one another. Automakers could be doing a lot more, including contacting owners electronically, which is not prohibited by our current legislation. Automakers should pay what it costs to locate the second and subsequent owners of vehicles with outstanding recalls, and the provinces should not use recall searches as a cash cow when an automaker needs to update its records. Perhaps a no-charge incentive like a free oil change or a car wash when a vehicle is having recall work performed, would improve compliance. Like other public health and safety initiatives, it`s foreseeable that getting recall defects fixed, or at least fully disclosed, will one day become mandatory when selling a used vehicle. The APA is continuing to raise this concern with auto retailing and regulatory bodies. To the APA`s knowledge, Ontario`s Used Car Dealers Association (UCDA) is the first dealer group in Canada to include a warning about checking for recalls on the pre-printed sales contract provided by the UCDA to its dealer members. Transport Canada`s online recalls database is a convenient search tool for checking if recalls exists, but does not confirm if a recall repair was performed on a specific vehicle. If you are a second owner, or have moved since taking delivery of a new vehicle, contact a dealer or the automaker`s customer service centre to update their record. You`ll need the 17 character Vehicle Identification Number (VIN) to do this. After buying a used vehicle, notify the automaker about the change in ownership, even if you purchased the vehicle from a franchised dealership that sells the same brand. In step with their U.S. counterparts, several automakers have introduced or will soon be introducing on-line databases to allow the public to verify VINs. Are you shopping for a vehicle in Manitoba? CarProof is offering Manitoba consumers a FREE report during the remainder of 2015 so they can learn more about the history of their vehicle, including a check for open recalls. The recalls below involved large vehicle populations that were a few years old at the time of the recall. 2009-11 Volkswagen Tiguan - Recalled in 2013 for partial loss of exterior lighting due to an overheated fuse - 94 percent repaired. 2008-12 Chrysler RAM Pickup - Recalled in 2013 to correct a possible tie rod fracture - 61 percent repaired. 2006-11 Hyundai -- Several models recalled in 2013 to correct a possible stop lamp switch failure - 68 percent repaired. 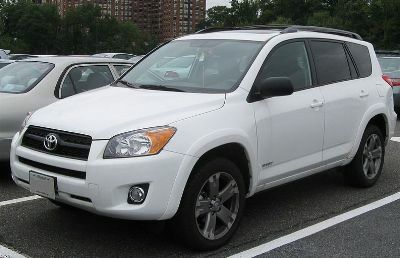 2006-11 Toyota RAV4 - Recalled in 2013 to correct a possible suspension failure due to corrosion - 68 percent repaired.